Netanyahu has been been prime minister for 13 of the last 23 years. JERUSALEM – Everything in Israel is exciting: the security situation, the innovation of the Start-Up Nation, the beaches. Dullness is not an Israeli trait. But barely a month old, the campaign for the upcoming Knesset elections on April 9 already are being pegged as the most boring in the country’s history. It may have something to do with the players involved. Unlike in the United States, when failed candidates or past presidents go on the lecture circuit, write a book, and otherwise get on with their lives, Israeli politicians don’t fade away – they just keep running. And when a new face crops up, they are quickly gobbled up by Israeli gossip-slinging, where everyone knows everyone else, you were in the army with his cousin, went to school with her son, or go to the same doctor as his neighbor. The top contenders to lead the country, according to polls – which are taken as frequently as a geriatric’s blood pressure – are an incumbent who is most likely going to be indicted for various legal infractions either before or after the election, and a former Israel Defense Forces chief of staff who has barely uttered a word since declaring his candidacy. 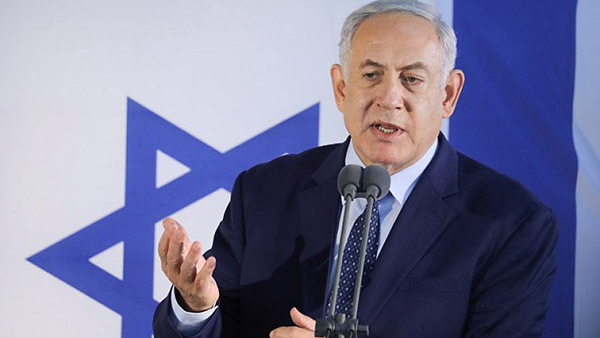 The incumbent is Prime Minister Benjamin Netanyahu who, despite his legal woes, is still on track to gain the most votes in April. He would then presumably be asked by President Reuven Rivlin to form the next government. For many Israelis, it’s the case of the devil you know. Despite his well-worn familiarity with the populace, Bibi (as Netanyahu is known) has shrewdly positioned himself as the only person who can keep Israel secure amid threats from Hezbollah and Iran in the north and Hamas in the south. Like him or not, Bibi’s become the familiar face that Israel shows to the world – whether rubbing shoulders with the leaders of the most powerful nations or speaking at the UN. The chairman of the Likud party has been prime minister for 13 of the last 23 years (and 10 in a row). His supporters are willing to let him carry on because they either don’t think that charges against him are true and are part of a campaign to besmirch him, or don’t think they’re serious enough to oust him from office. Operation Protective Edge in 2014. Since completing his service and becoming a civilian in 2015, the affable Gantz has been touted as a political hopeful, in the Israeli tradition of former military men running for office. But when he finally threw his hat in the ring in December, Gantz employed an interesting strategy: He kept quiet. Nobody knows what his policies are, where he stands on the issues, or whether he’s a security hawk or dove (although based on past statements the assessment favors the latter). As a result of ambiguity and not doing anything wrong, he’s now hugely popular and become the main challenger to Netanyahu. Of course, once he opens his mouth, there’s only one way to go – downhill. That might have also happened last week when Gantz made a statement pledging to work toward changing the controversial Nation-State Law, which states “the right to exercise national self-determination in the State of Israel is unique to the Jewish people.” The law was passed by Netanyahu’s coalition in July and has faced criticism from Israel’s minorities. That enabled Israel’s right wing to pounce on Gantz and say he was no different than other centrist/left challengers like Labor’s Avi Gabbay or Yesh Atid’s Yair Lapid, who pose the only other formidable threats to Netanyahu. Of course, if these parties banded together, they could pose a serious challenge to Netanyahu and the Likud’s hold on power. But rather than unifying, at this point, it seems like they’re splintering, despite talk of Lapid and Gantz possibly getting together. With all the maneuvering going on and backroom discussions about coalitions and deals, the general reaction among Israeli voters is … yawn. It’s a complacency that will likely enable a prime minister about to be indicted to get reelected. Israelis have traditionally voted according to which candidate can keep them safe. The threats from the Iranian presence in Syria, the Hezbollah terror tunnels discovered on Israel’s northern border, and the continuing border protests and infiltrations attempts by Hamas in Gaza are all fodder for Netanyahu in his Mr. Security guise. Someone like Gantz or Lapid could serve Israel well as prime minister, but unless he is brought in handcuffs to his prison cell, expect Netanyahu to continue his reign as the king of Israel. It may not be exciting, but sometimes Israelis apparently prefer a little monotony. David Brinn writes from Jerusalem.